GREENVILLE — A longtime Greenville insurance agent will retire after almost 38 years in the business. State Farm Agent Diane Evans announced her retirement, effective Jan. 31, in a letter to her customers. She first became an agent March 1, 1981, and for the first two years, her office was on Ash Street. After that, for the next 10 years, her office was located on Wagner Avenue, in the plaza now occupied by Cashland, Furniture Express and Spectrum, among other businesses. Evans moved into her current office, at 200 Wagner Ave., in 1993. Evans said the insurance industry has seen many changes since 1981, but the most drastic changes were a result of advances in technology. “We went from having microfilm records to computers,” she said. Another change she noted is how insurance laws have gotten more complex over the years. Anticipating there may be some concerns from her customers regarding their insurance policies, Evans said there will be no disruption in services. As for her plans following retirement, Evans said she will “ramp up” her involvement in the community. “There’s a number of volunteer things that I do and have done for a long time,” she said. Evans added she also will spend a lot more time with her family. Ultimately, Evans calls herself “very blessed and very grateful” from the support of her longtime customers and others in the community. 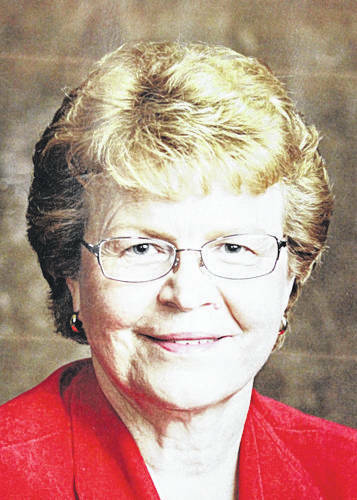 For those wishing to help Evans celebrate her retirement, an open house will be held at her agency from 1 to 7 p.m. Monday with light refreshments served. This entry was tagged Diane Evans, insurance, retire, retirement, State Farm. Bookmark the permalink.